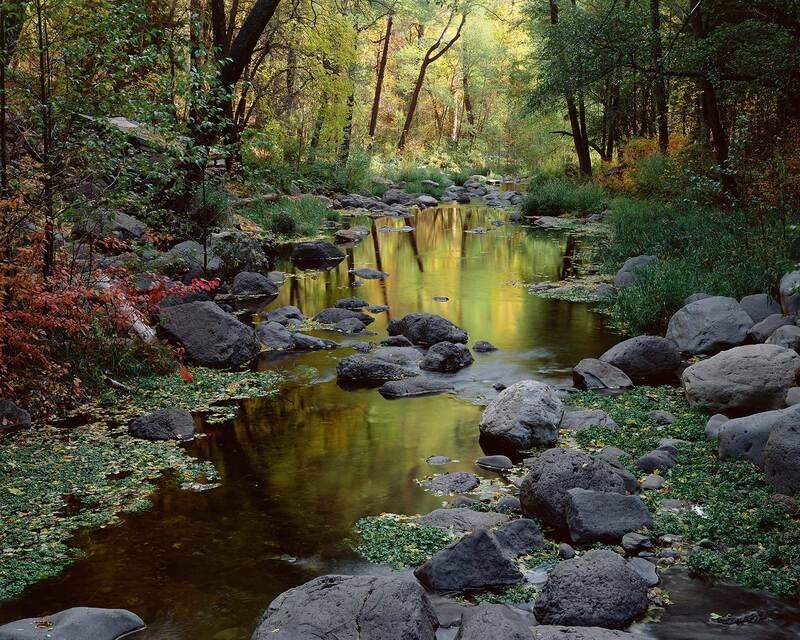 Box elders bask their yellow leaves in the low autumn sunlight as oak creek bubbles through the cool green canyon. The swirling waters of the creek blur these hues together into a brilliant watercolor. I spent several days revisiting this spot throughout the season, looking for just the right time of year and day. I found the angle I was looking for by climbing a boulder in the middle of the creek with just enough room for a tripod and box camera.